This article was first published on 24 April 2016 and is reproduced to mark 30 years to the date of the disaster. ALMOST 30 YEARS ago on the morning of 28 April, something strange happened at a Swedish nuclear power plant. While attempting to enter his office, Cliff Robinson set off radiation detectors. The engineer carried out a second test on himself and discovered radioactive particles not normally found at this plant. Recalling the incident to Reuters, Robinson said he initially feared “a war had broken out and that somebody had blown up a nuclear bomb”. Robinson’s discovery prompted the Soviet Union to reveal the source of the contamination – there had been an accident at Chernobyl nuclear plant in Ukraine two days previous on 26 April. The scale of the disaster was not revealed until later the next month. A fire and explosion at one of Chernobyl’s reactors had spewed radioactive material into the atmosphere. During this time a radioactive plume of smoke swirled over Europe. Locals in Ukraine and Belarus spent days either in areas they should have evacuated from, or unknowingly consuming food tainted by the fallout. The exact death toll from the disaster still remains hard to pin down. A 2005 World Health Organisation report concluded that as many as 4,000 people will eventually die as a result of Chernobyl. 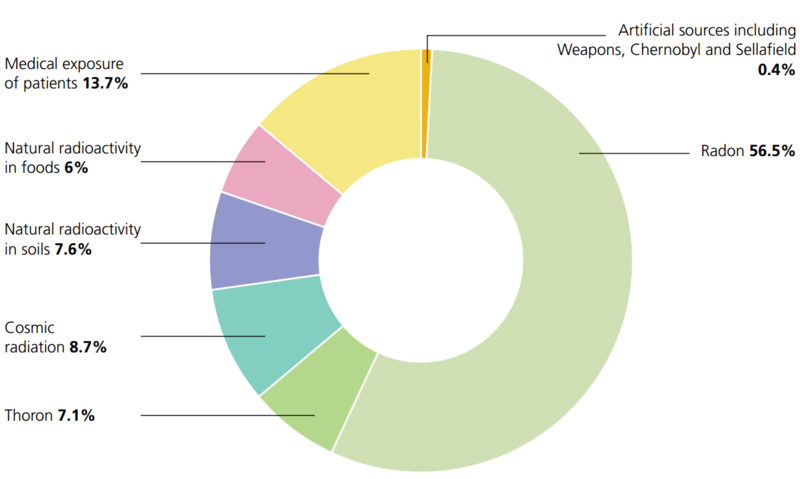 There were around 50 direct deaths, many of whom were the first responders. Another report predicted 16,000 deaths. Ask the Russian academy of sciences and they’ll tell you 60,000. There have been around 4,000 cases of thyroid cancer directly linked to Chernobyl, of which there has so far been a 99% survival rate. More than a dozen children have died. “Otherwise, the team of international experts found no evidence for any increases in the incidence of leukemia and cancer among affected residents,” the WHO’s radiation programme manager Dr Michael Repacholi said in the report, and found no changes in fertility or any increase in the number of birth defects for those living in areas with elevated levels of radiation. This itself was disputed by some. Other studies suggested a sharp rise in the number of birth defects among children of liquidators, the thousands-strong force that was involved in the cleanup of Chernobyl. There is a higher leukemia risk among this group. The incident remains the worst disaster in the largely safe history of civilian nuclear power, rivalled only by Fukushima which had a more limited fallout. Experts say a big factor behind the disaster was the unusual and poor design of the reactor, known as RMBK, particularly its propensity to sudden power surges – as happened at Chernobyl. In addition, and unlike elsewhere outside the Soviet Union, there was no containment structure shielding the reactor to stop radioactivity escaping. But there was also human error. According to the World Nuclear Association, the accident was also due to “the violation of operating procedures and the absence of a safety culture”. Workers at the plant disabled safety systems and ignored warnings during the test that led to explosion. It took almost a week for the fallout to reach Ireland. By the time Met Éireann’s headquarters in Glasnevin recorded a sudden spike in radioactivity over Dublin on 2 May, it wasn’t unexpected. Speaking to TheJournal.ie, Ciara McMahon, programme manager at the EPA’s Office of Radiological Protection, explained that like smoke dissipating the further it blows from a fire, the concentration of radioactive particles in the atmosphere was diluted by the time it reached Irish airspace. Authorities launched widespread monitoring programmes across the country to ascertain the scale of what Ireland was now facing. Heavy rain in some areas meant particles that would have normally stayed in the atmosphere were brought to the ground. “The highest levels of radioactive particles found roughly matches the pattern of rainfall in Ireland at that time,” McMahon explained, citing areas such as Galway, Mayo, Sligo, and Waterford. Monitoring programmes were immediately stepped up from what was normally carried out to make sure that food and drinking water were still safe. Mapping projects were launched to find where exactly these particles had settled, and if they posed any potential longer-term dangers. However, McMahon said while Chernobyl’s fallout was detectable in Ireland and in foodstuffs like milk, the disaster had no discernible effect on public health in Ireland – in fact, the lives of sheep were the most affected. “An issue that persisted was radioactivity being taken up by upland sheep,” McMahon said. This mainly related to caesium-137, a byproduct of nuclear power production. Large quantities can cause radiation poisoning, while smaller amounts can lead to an increased cancer risk. It proved to be the largest source of radiation from the Chernobyl disaster. One reason you find higher concentrations of the radioactive particles in uplands areas is because caesium binds to clay in lowland areas [a process that essentially takes it out of the environment] but not to peaty soils. Heather and mosses also take it up more effectively than other plants. Upland sheep tend to eat those, so the combination of peat and the vegetation meant we were able to detect it in sheep for longer. This is not to say that if you looked to the moors at night you would see them filled with glowing green sheep. The health effects on the sheep themselves were minimal due to the small amount of caesium, and were also easily mitigated before reaching the food chain. Eating a single piece of meat with a higher-than-permitted levels of caesium wouldn’t cause issues, but it would be the accumulation of the material in your body over time as you ate more, McMahon added. She said the solution was simple – test the animals before they were slaughtered. If elevated levels of caesium were found that could have potentially breached the conservative limits for this particle in food, the sheep were moved to lowland areas and fed on grass until the caesium passed naturally through their systems. There was just one sample that exceeded the guidelines for maximum amount of radioactive material that foodstuffs could contain. 30 years on from the disaster, these particles can only be detected in the soil using sensitive equipment. Larger quantities of radioactive material settled in upland areas of Wales and Scotland, but monitoring of this ceased in 2012 as there was no longer a risk to public health. McMahon explained that occasionally a sheep could still cause concern, but only because “it particularly loved heather” or another similar factor. This is not in the case in some parts of Europe and elsewhere, where caesium is still easily detectable in livestock. The main hangover in Ireland is the need to certify that certain foods being exported to countries outside of the EU are free from the radioactive particles released by Chernobyl. But what about the dose of radiation to Irish people from Chernobyl? 0.01mSv - The dose received from eating 100 grams of Brazil nuts. 1,000mSv – This would cause a fatal cancer in 5% of people exposed to this amount. In a single dose this would cause temporary radiation sickness. Chernobyl resulted in an approximate 3% increase in radiation exposure to the average Irish person in the 12 months following the accident. This would have varied from area to area, but means the average dose was between 0.1msv or 0.15msv spread out over a year, carrying a nominal health risk. In comparison, you would receive this in a matter of minutes during a chest x-ray. Now more than three decades later, you can not differentiate between the Chernobyl fallout and that of other events such as nuclear weapons testing in the 1950s and Fukushima, combined with background radiation. While the fear of Chernobyl faded, the Irish public has remained concerned a plant much closer to home – Sellafield. Although it has been theorised that the Windscale disaster may have impacted some areas, you would have to make an effort to consume large quantities of seafood from the Irish Sea to even come close to adding 1% to your annual radiation dose (remembering that we already get around 6% from food) as a result of Sellafield’s activities. However, the Guardian reported in 2014 that nuclear experts said an attack or accident at the site’s pools of spent fuel could result in the contamination of a much larger area than Chernobyl or Fukushima, although the plant’s operators have said the issues with the design of these containment pools are now being addressed. But Ciara McMahon explained that the Irish public is at greater risk from a homegrown threat rather than the likes of Chernobyl: radon. This radioactive gas is produced by the decay of naturally-occurring uranium in rocks. It can build up in buildings, which certain areas more at risk than others. Although it makes up half of our annual radiation dose, it generally does not cause problems as the dose involved is still small. It’s estimated that around 13% of the deaths from lung cancer in Ireland are linked to radon, numbering around 250 a year. Most people will spend their lives being exposed to radon without even being aware. However, it can pose a serious health risk if there are high levels in your home – the residents of one home in Tralee were receiving the same amount of radiation every day as 18 chest x-rays. You can apply to the EPA for a radon test in your home. It costs €56.90 and involves two small devices being left in your home for three months to take readings. 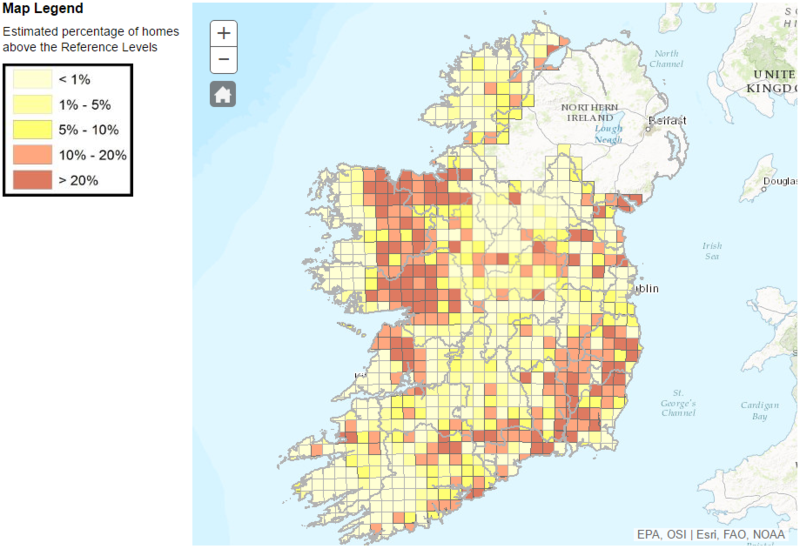 A map of where elevated levels of radon are in Ireland. McMahon described radon as a “avoidable threat”, and that many steps can be taken to mitigate its effects. Speaking generally about the threat of a nuclear accident to the Irish public, she said the Chernobyl resulted in the creation of a national management plan for nuclear accidents which was found to be of a good standard when tested recently. Over at Chernobyl itself, the concrete sarcophagus that encases reactor four is crumbling. A section collapsed in 2013 under the weight of snow covering it. A new metal structure, the New Safe Confinement (NSC), is being built adjacent to the site and will be rolled into place on tracks. It will keep the still highly radioactive contents safe into the next century. However, it will be another 25,000 years before the site is safe for humans. Email “30 years on: The impact of the Chernobyl nuclear disaster”. Feedback on “30 years on: The impact of the Chernobyl nuclear disaster”.